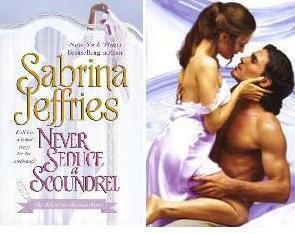 Sabrina Jeffries - Never Seduce A Scoundrel. 1st in School For Heiresses series. Wallpaper and background images in the Historical Romance club tagged: sabrina jeffries book cover school for heiresses series historical romance image.